» Short Term DJ Social! 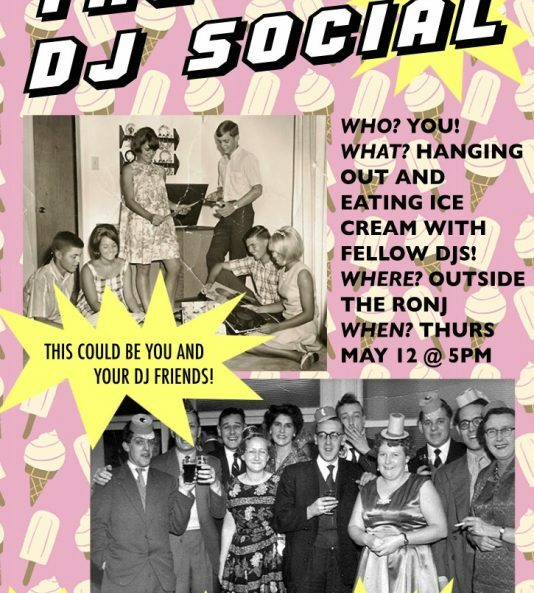 Come to the upcoming DJ Social Thursday (5/12/16) outside the Ronj! BAND(tba!) performance from approx 5-6. All aspiring/current/former DJs bring your friends and lovers for a good time!